When the Rainbow Warrior recently explored the waters around the Verde Island in the Philippines, one of the world’s most pristine marine environments, we found even its smallest inhabitants impacted by plastic. For anyone who is familiar with Southeast Asia, plastic pollution seems to be everywhere, but the problem actually began somewhere else— it started in the boardrooms of the top multinational companies, when they decided to dump products packaged in single-use, non-recyclable plastic in places where there is no infrastructure to manage them. Simply put, these companies created a #PlasticMonster. That’s why we’re going to ship this plastic monster back to where it was created. 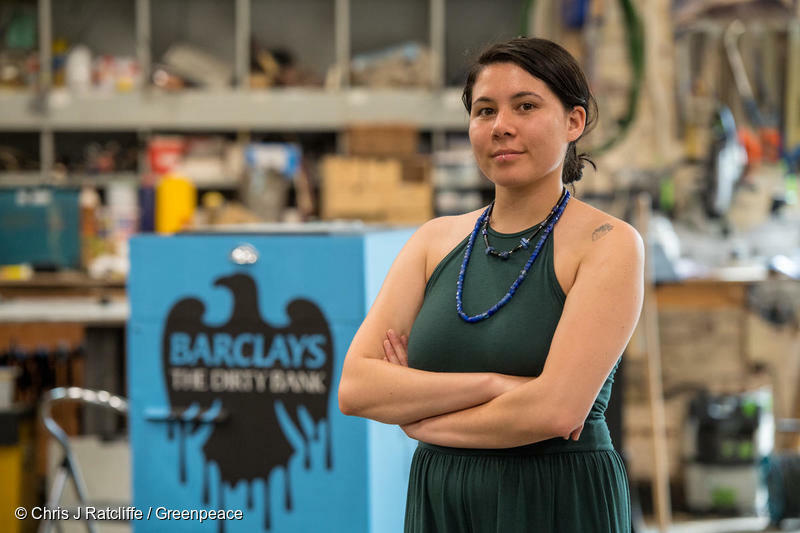 As part of the global #BreakFreeFromPlastic movement, we are demanding corporations take concrete, bold action to stop producing throwaway plastic. 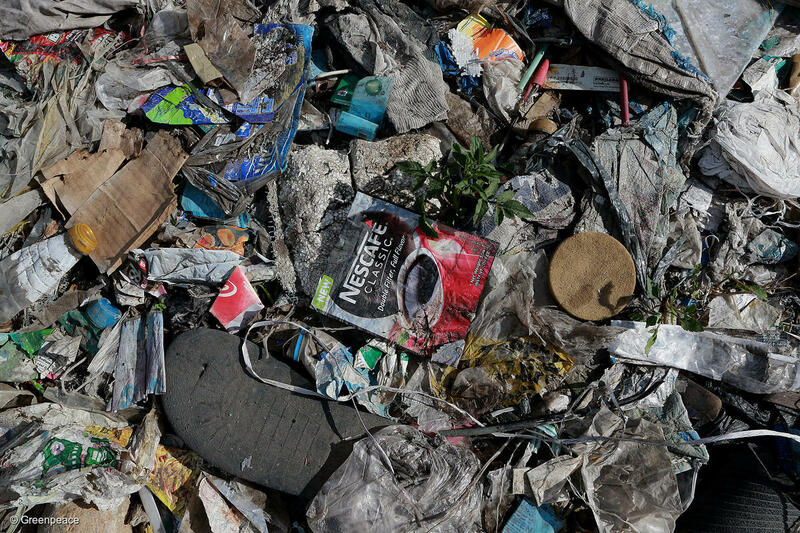 Nestlé and Unilever were named as the top plastic polluters in the Philippines, based on a series of waste audits done there by the Global Alliance for Incinerator Alternatives (GAIA). This past weekend, Greenpeace activists and volunteers paid a visit to Unilever. We danced our way to the headquarters in Rotterdam, Netherlands, and delivered a huge plastic monster. Now we want Nestlé to get the message too: you created a plastic monster, and it’s about time you take responsibility for it. Onboard the Greenpeace ship Beluga, we’re traveling down Europe’s Rhine River, through the Netherlands, Germany, and France, and carrying the plastic monster with us to send a message to Nestlé that they can’t ignore: it’s time to stop polluting our world with single-use plastic. Nestlé has finally acknowledged that recycling alone won’t solve this crisis. But they are not moving with the urgency and scale needed to tackle plastic pollution and reduce throwaway packaging. Nestlé uses 1.7 million tonnes of plastic annually. In the past five years, the company’s use of plastic in its packaging portfolio has increased by 5%. A whopping 98% of Nestlé’s products are sold in single-use packaging, and Nestlé is third in the list of top plastic polluters globally, according to global brand audits of plastic pollution. We need Nestlé to walk the talk: start phasing out single-use plastics across its supply chain and, crucially, invest in new delivery systems of refill and reuse. Simply shifting the problem from one throwaway material to another is not a solution. Nestlé, it’s time to take responsibility for the plastic monster you’ve created. It’s time to go beyond vague statements and small-scale trials and show real leadership.